Just a friendly reminder that if you are amongst the many who have put off the notices for the changes that Google AdWords will be making for their new enhanced campaigns, which will begin effective July 22, 2013, it may be time to stop and take a look at how these changes will affect your campaigns. For many of you the impact will not be significant however, if you’re not paying close attention you may find yourself paying for ads that are not designed to target traffic as expected. The major change comes in how Google is handling different devices. This of course comes with pro’s and con’s associated with the aspect of reorganizing your existing campaigns. With legacy campaigns you had more control over including/excluding devices based upon computers, mobile, and tablets. The new enhanced campaigns automatically target all devices with an option to adjust the bid for mobile in the form of a bid modifier for high-end mobile devices. In essence you can now control your bid for mobile specifically as a percentage of your desktop bid going in either direction. You can also prevent ads from being served by setting your mobile bid down to 0. The biggest change is that you must do this specifically for each campaign or it will be assumed that you want to target all devices equally. Another major change on the topic of “devices ” is in the ads themselves as there is now an option to set ads to Mobile Preferred which tells the AdWords system that you prefer mobile devices over desktops or tablets. If you do not set this option the system will assume there is no preferred distinction between devices and will serve your ads equally without regard to device type. Major changes have also been introduced in the way the display network handles its bidding. This change is in an attempt to simplify the bidding rules that apply to this category. There is a slight difference between campaigns that target both search and content versus a campaign that is targeted to only to the content network. Depending upon your specific needs you may consider adjusting your campaign structure as needed to achieve the right configuration. (Although I always suggest separating your campaigns by network.) If your display campaigns rely heavily on Verticals or Placements pay particular attention when migrating from legacy campaigns to the new enhanced features as this may have a significant impact on how your bid preferences are applied. If you have not already upgraded here’s your next steps. First I suggest that you upgrade your campaigns yourself prior to the cutoff which means that Google will do it for you based upon what they think is the best structure. By doing it yourself you will have more options in adjusting your campaigns prior to the changes. Some campaigns will be very straight forward with a simple modification to creating a mobile bid adjustment while others may be more complicated with proposed merging of mobile and desktop campaigns. 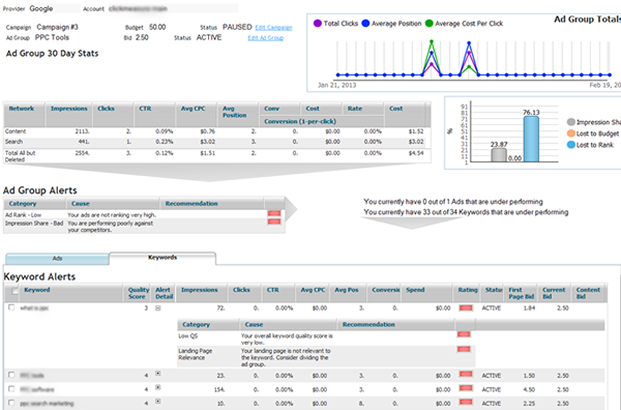 Upon completion of migrating to the new enhanced campaigns monitor your performance closely to ensure that your campaigns are performing as expected. Where is your internet marketing budget going? There are several ways to accomplish your goals. In advertising some work better than others but it usually depends on what exactly you are trying to accomplish and how much budget you have to work with. If your entire internet marketing budget is quite small categories such as PPC and Display may be out of reach for the time being. There are plenty of opportunities to generate traffic that are low cost. This is an example meant to prompt some reflection on just where you are currently spending your ad money and spark some creative ideas on how you might be able to improve your spending in the future. 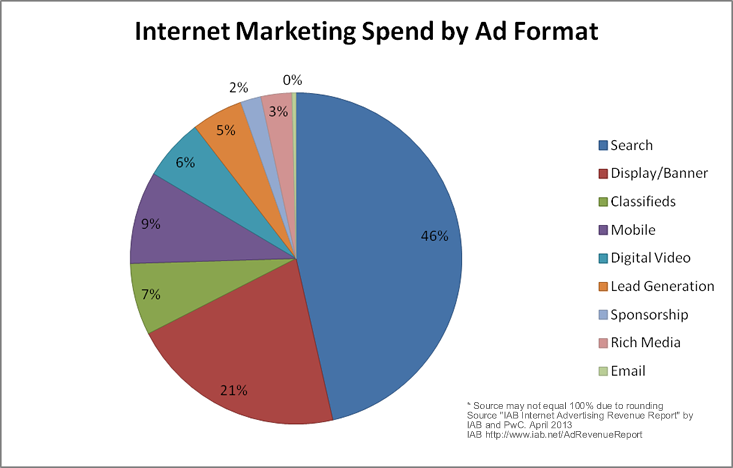 Below is a sample of Internet Marketing Spend by Category produced by IAB and PwC. Let’s see how your budget compares. There are several factors that will impact the percentages you should spend per category such as whether you are B2B or B2C. Is your company promoting a product or a service? The first task is to determine the ROI for each of these categories. We’ll assume you have a tracking plan in place that allows you to capture the data. It is essential to review this information on a regular basis as the landscape is always evolving. What once worked for you may not remain the case over time. Complacency is not your friend when it comes to internet marketing. If you are not constantly testing and refining your campaigns and content then you are falling behind. Once you have a picture of how each category is performing as far as return on your spend it is now time to dive into reviewing your options as to how refine your budget to align with performance. You should begin with your largest categories first which are most likely going to be Paid Search and/or Display. These also happen to be the easiest to review. Double check that your campaigns are really performing as expected. Paid Search campaigns should be utilizing optimization that takes into consideration best practices for organization and campaign structure as a starting point. Then you can drill down to the best performing keywords and ads with the highest CTR’s weeding out any underperforming areas that are dragging down your return. You may be pleasantly surprised at just how quickly modest changes can generate substantial lift in your campaign performance, allowing you to adjust your budget to other areas or simply increase traffic at a reduced expense. Display and Banner ads are very similar in the need for review. Compile a list of all your creative assets and evaluate each campaign for areas that can be improved. You should assess all landing pages and implement A/B testing if you have not already done so. If your ads are not producing desired results it is time to refine the campaign or suspend any portions necessary to improve your ROI. Consider areas that you may not be leveraging such as Mobile. Know your audience! Evaluate your traffic to determine what devices your customers are using and consider a campaign that targets them specifically. More people are mobile in today’s market it is essential your advertising covers the full spectrum of options. Don’t let your competitors get the upper hand. It is very likely if you are not doing it someone else is. Your goal should be to spend more on what works and less on what doesn’t. You are probably already aware that Google AdWords determines what a particular cost-per-click will be based in part on the quality score of your landing pages. Let’s face it not all landing pages are created equal. When it comes to PPC advertising in particular when you are paying for every click it becomes essential that your landing pages rock conversion rates every time. A high priority should be set on creating landing pages that are designed to improve your conversion rates which will optimize your advertising budget. Here are a few essentials to keep in mind when creating and testing your landing pages. Relevance is always the highest priority. This means that the landing page must align with the ad copy for starters and especially when it comes to landing page headlines. Your ad should be specific to what you have to offer and your landing page is an extension of that message. Think about what it is you want that visitor to accomplish once they have arrived. Your headline should be absolutely clear without requiring any interpretation. You should always remove as many obstacles as possible for the user. Remember you just paid to get them there, the easier you make the process the more inclined a user will be to complete it. Prove your value as soon as possible and don’t forget to state the obvious! Identify their pain points as quickly as possible. Provide the answer in how you solve their problem? Demonstrate what you have that no one else does? Explain why your product better than the competition? Nothing loses a customer quicker than landing on a page that is overwhelming and difficult to navigate. You have very little time to attract their attention, pitch your offer, and close the deal with a completed call to action such as a contact us form which collects their information in exchange for a great article that has unique and beneficial content they could not find anywhere else. Reduce the clutter wherever possible. Never allow the page to get off topic with multiple links that may distract a user from achieving the conversion goal. Landing pages should never have any unnecessary clutter occupying such limited space. Think of one task and one mission only. Show your visitor exactly what they need to see in as little space as possible. No long elaborate speeches on how wonderful your product is and how it can do everything they ever dreamed of. The longer the text on the page the less likely a user is to stay and look, let alone complete a form for more information. This is where images and videos can really help convey your message without requiring a tremendous amount of text. There should never be any scrolling required to complete this task. You want to consider the safe zone which will accommodate most modern browsers. The form should fall in line with the natural order and be visually appealing as you scan the page. It should only require the minimum amount of information necessary to accomplish the task. The longer and more complicated the form, the less likely a user will be to complete it. Never asked for information that is not relevant to what you are offering. The trade off must be equitable for both parties. If you are offering a fabulous article it is appropriate to request very basic information such as name and email. It is not acceptable to ask for too much personal information such as credit card numbers. While this may seem obvious it is very easy to forget to tailor your landing page forms to match the specific forms purpose and not just a boiler plate template that is used on every page. There are many different approaches in how to accomplish the task of getting your visitor to complete the intended action but for the most part your call to action must stand out and grab your user’s attention. Once they have gathered the necessary information, made up their mind that they would like to proceed. Your call to action should be the next logical step to getting what they want. The call to action should clearly identify what it is they should do next in a way that motivates them to do so. There are many different trigger words that work better than others and many of them are dependent upon what action you are trying to get them to perform. 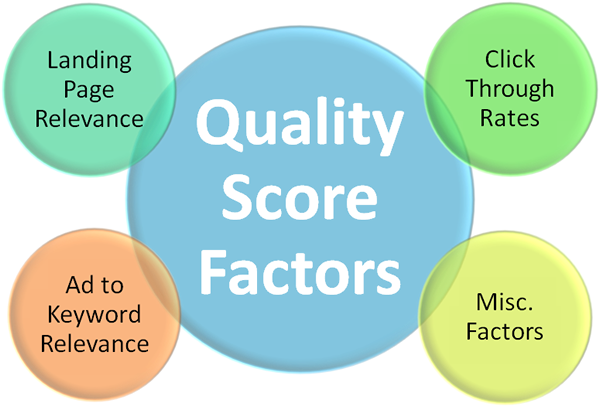 Focus on trust factors and benefits. Is it Free, Safe, Quick or Easy? Is it a download whether that’s a pdf or software? Will they have instant access? Think of the most important factor in what it is they will get with that action and go from there. 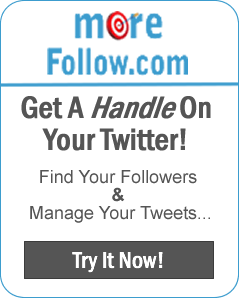 A user has that has landed on your page has many options. If they arrived at your destination from search keep in mind they selected you from a list of options. If they do not get the information they desired in a way that makes them absolutely comfortable the odds are they will leave your page immediately and keep looking elsewhere. Testimonials are a great way to share what others have said about you. Trust Certificates and Guarantee Seals go a long way in eliminating fears about security or reputation. Press mentions are also very impactful in establishing a sense of comfort. Odds are there are some unique aspects of your audience, at least there should be. The only way to truly identify what content, call-to-action or form requirements work best for that audience is to actually try several versions in an A/B test to see how each approach will perform. You should always test one thing at a time with a continuous rotation of different tests. Here are some of the basics that should always be covered. Headlines should be tested in conjunction with the ads. Location of the form whether on the left or the right. The length of the form and the organization of the fields. In addition to testing it is also helpful to get user feedback implementing surveys or polls. There are several free or inexpensive solutions such as SurveyMonkey that are easy to use and can provide insight on user preferences. These are a few simple guidelines that should help you design landing pages that effectively improve conversions and increase your user experience. In PPC advertising everyone dreads spending money on a click that does nothing. A bounce is when someone clicks on a link and then does nothing else. That means they do not visit another page on your website or complete the form that was the intended call to action. So what do you do about it? Here are some sure fire ways to combat high bounce rates. First let us define exactly what is considered high. Everyone’s needs and results are different depending on your target audience and what exactly you are trying to achieve. On average the standard issue landing page designed to get a customer to fill out a generic signup form may expect to have a bounce rate in the range of 65 – 75 percent. Yes, that means the majority of your budget will go to lost leads but that is just part of the overall composition of advertising. Your goals must be realistic, let’s face it you will most likely never achieve a 100% conversion rate from paid advertising but there are certainly was to improve upon your existing returns. Now we can dive into the solution. There are 4 main points of failure that can lead to high bounce rates. It all starts with the search query, the actual words that someone type in when they decided they needed information on that specific topic at that particular time. Depending on the match type of the keywords you are targeting and the platform you are using to advertise on the results may vary greatly from what you originally intended. Targeting the right keywords that will deliver visitors that are really looking for what you have to offer often times takes a great deal of experimenting. 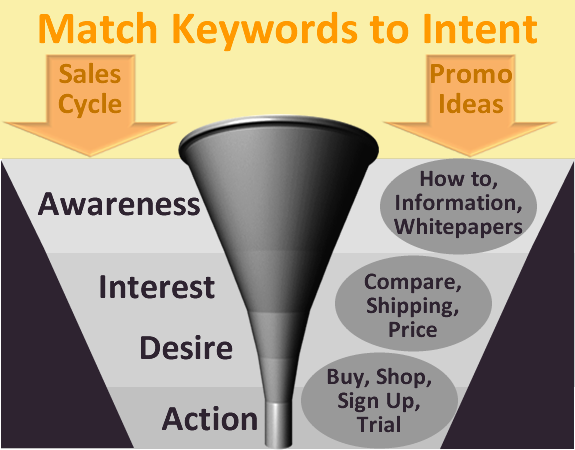 Not all keywords are created equal and not all keywords are worth the effort. Consider exactly what may be going through your potential customers head when they are typing in that query which will lead them to you. For instance it may make perfect sense for our business to target “internet marketing” however, in the long run it is too broad to be considered cost effective. We are really offering solutions to people who are specifically looking to solve the problem of improving their paid search performance. Although we enjoy getting to know people and like discussing internet marketing in general, when it comes to paying for advertising it makes more sense for us to focus our budget on the specifics of those people looking to benefit from what our tool is designed to do, such as improve paid search performance for customers that are already buying ads and that already know they would like to save money on that precise task. 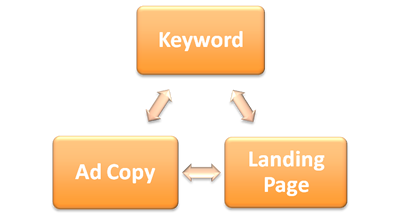 If you rank your keyword in the selection process in terms of return per click it may help you narrow your focus. After organizing your keywords the next step is creating the ideal Ad that will entice the visitor with relevant information about what you have to offer. You should describe exactly what it is the user will get if they click. This will reduce the number of clicks that result in a bounce. Remember the goal is not to pay for as many clicks as possible but to only pay for those that have the highest chances of converting when they arrive at their destination. Now that you paid for the click, got the right visitor from the perfect ad it’s time to close the deal with the just the thing landing page. 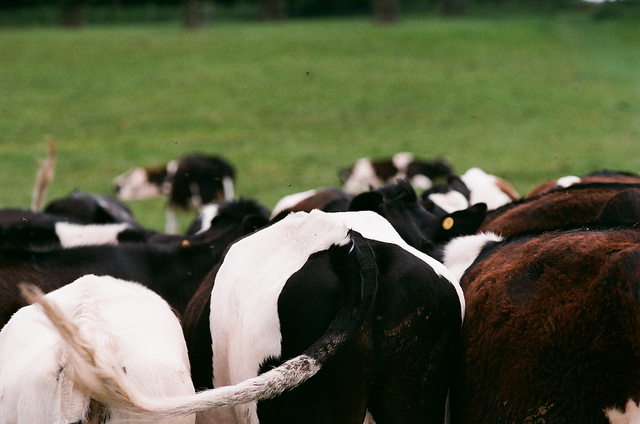 High bounce rates can result from a poor landing page experience. The user is not looking for what is being offered. The landing page design does not provide an easy way to complete the task. There are too many distractions on the page and the user gets lost. Slow load times where the performance of the landing page looses the deal. 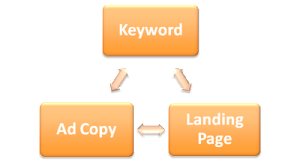 As long as you have covered getting the right traffic the landing page is the other main cause of a bounce. Creating high converting landing pages can be quite time consuming and may require several designs to test what will work for your specific product and audience. Something as simple as changing the color of a call to action can result in a significant uplift in conversions. Aside from the basic design standard approaches such as simple navigation, form above the fold, and relevance, here are some areas to target for testing. Try moving the form with a call to action from left to right or vice versus, making sure it is above the fold and designed to stand out from your information section. Play with colors, you would be surprised at how much impact a color can have on the users actions. Design is essential but so is great content. Does your headline catch the visitor’s attention? Which one would you choose? Get Socks on Sale Now or We’ll Knock Your Socks Off with Our Huge Sock Sale! Ensure that your information section is easy to read and includes images that showcase your offer. Always make it easy to understand and easy to act upon. Ask yourself does this page provide all the answers necessary to compel the visitor to complete the task.